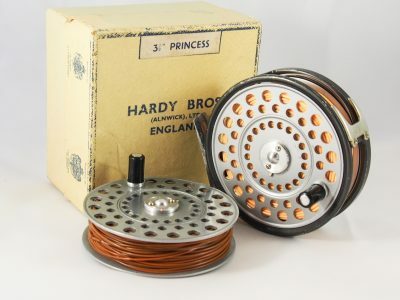 In very good condition as I doubt it has been used more than a few times and very well cared for and stored correctly, complete with neoprene pouch and a hardy shooting head floating line. 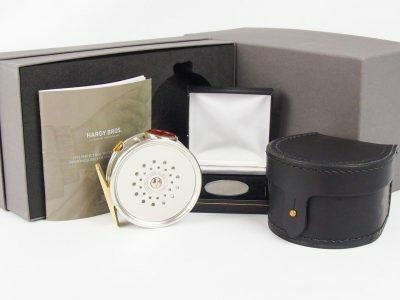 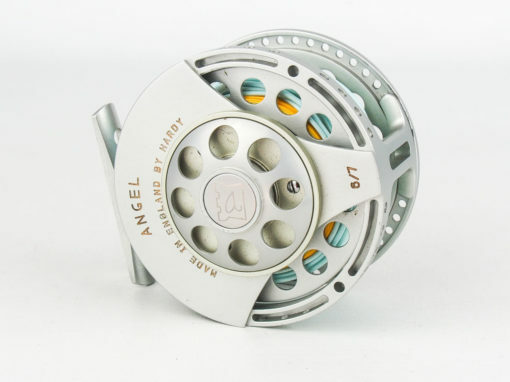 A stunning new range of performance fly reels from Hardy that revolutionises reel design from a specification, performance and design perspective, the satin silver finish is deliberately anti-glare and is complemented by champagne gold highlights from the highest quality aircraft grade aluminium, the Hardy Angel is light but strong, yet one hundred percent reliable and almost unbreakable. 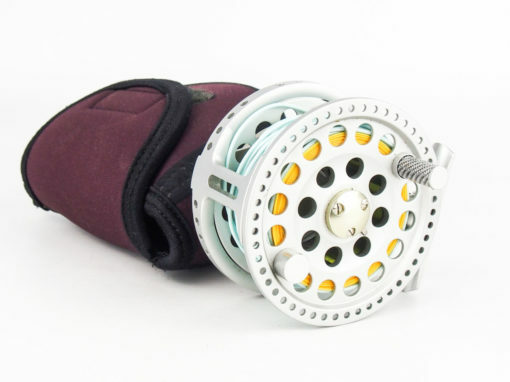 With a drag system thats perfect for big, fast fish. 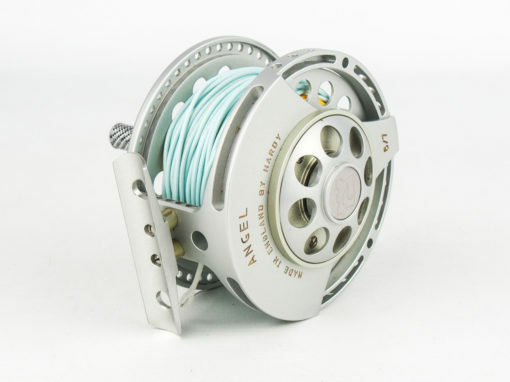 In its larger sizes the reels boast four square inches of brake surface area. 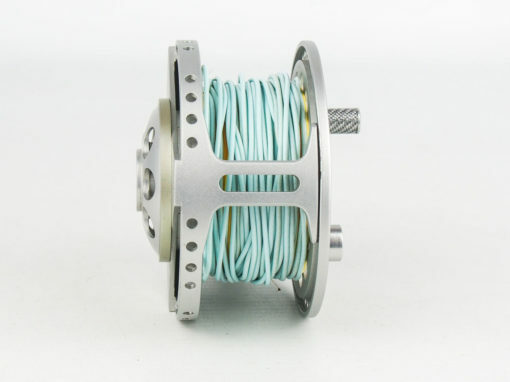 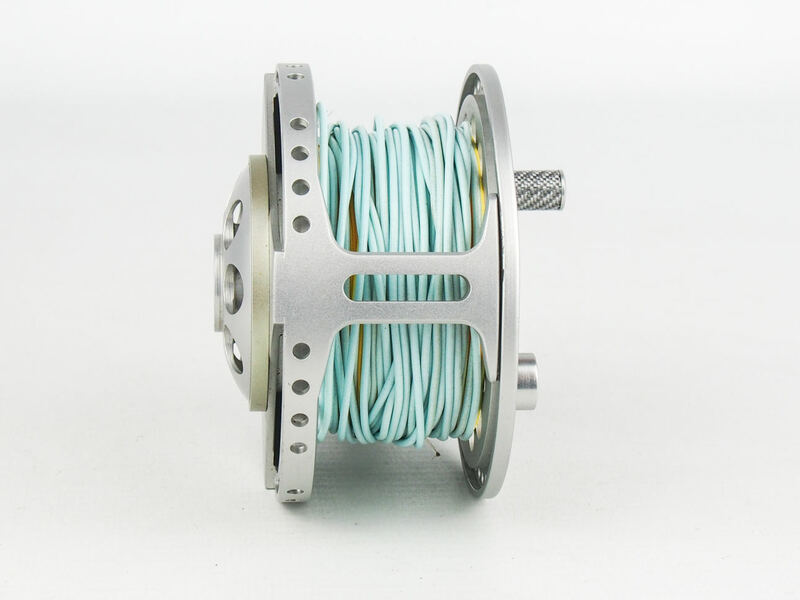 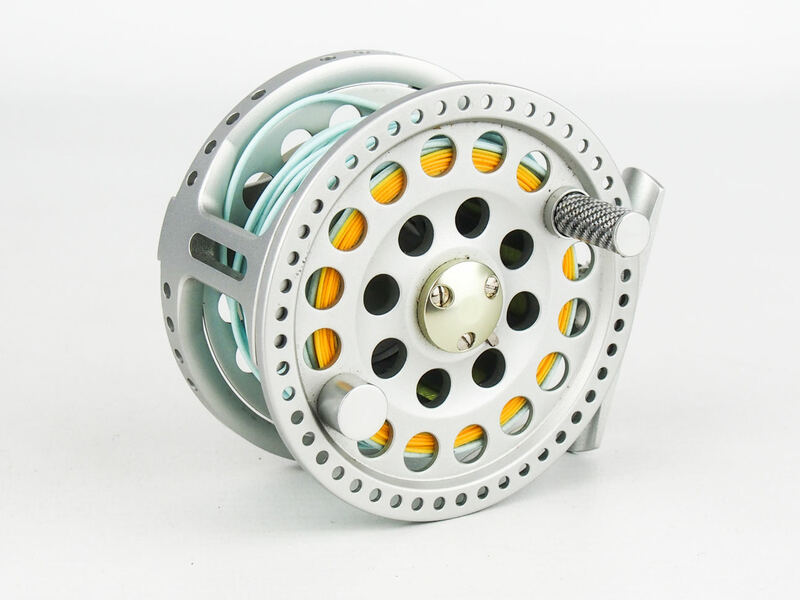 What this gives is an extremely smooth and reliable drag system whether at the lightest or the heaviest settings, the Hardy Angel range of reels are suitable for Trout fishing, Salmon fishing and Saltwater fly fishing. can be fished both LHW & RHW.